Marijuana legalization has not only changed where you can and cannot buy cannabis. It can also change your wardrobe with new marijuana fashion & brands. With millions more people trying it, marijuana fashion and lifestyle brands built around cannabis culture have emerged. Now you can walk down the street with a clutch bag especially designed to safely store your stash while wearing a “High Life” hat. Later, you can sleep in a bed adorned with marijuana-influenced designs on pillowcases and sheets. Think of it as cool cannabis couture. Here are some places to start looking to see what’s available. Bamboo storage cases for your cannabis stash from Colorado-based Stashlogix. Beauty boxes from San Francisco-based AuBox that contain lotions, oils and other cannabis-infused products. That’s just a sample. 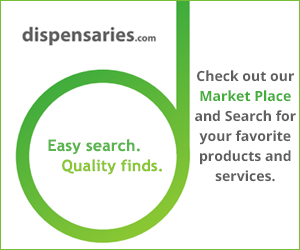 It’s worth a look, if for no other reason than to educate marijuana users on the wide variety of products available. While some of the accessories listed above allow people to carry their stash in a way that’s both hidden and stylish, some brands offer clothes that allow you to proclaim your affection for cannabis. And look pretty cool doing it. Some of the better-known brands including the following. Denver-based Chiefton Supply Co. designs marijuana-related apparel for other companies and also offer their own line of clothes. They include shirts for both men and women, hoodies and headwear. JSLV offers a line of clothing aimed at skiers, surfers and other outdoors types (as well as “art culture” people). They include T-shirts, fleeces, pullovers and “trucker” hats with the “High Life” logo. The Personal Stash features a wide variety of fashion for the urban “hemp-ster.” They include marijuana-themed shoelaces and even sheets and pillow cases. What else to expect from a company that created the “I Bud You” logo? Want to go old school? Wildflower Dyes offers the sort of tie-dye products people wore in the 1960s (and 1970s, 1980s, etc.). They include tie-dye yoga pants, knee socks and, yes, even bed sheets. That’s just a sample to get you started on your search. Like any other area with enthusiastic fans, marijuana now allows people to proclaim their feelings on their sleeves. Or hats, as the case may be. ← Can Microdosing Marijuana Help Battle Anxiety and Stress?